Progress does not come without a price. Many of mankind's technological advancements in the name of science or warfare have had devastating effects on the environment and the populace. This article will focus on four of the most dangerous places on the face of the planet. In 1945, the first atomic bombs were used in anger, effectively bringing the Second World War to an abrupt, immediate end. After the war, testing of nuclear weapons for various uses was expanded exponentially. The bulk of the wide-ranging test programs were moved out of the Untied States, where the first weapons were tested, and into the South Pacific. The next step in the development of nuclear weaponry was the Teller-Ulam weapon design, the first of the so-called hydrogen bombs. The first Teller-Ulam h-bomb to be detonated was the IVY MIKE device, detonated on 1 November 1952. 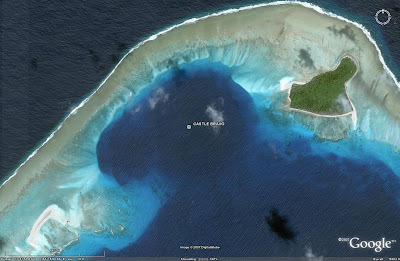 This 10.4 megaton detonation completely vaporized the island of Elugelab in Enewetak Atoll. IVY MIKE's bomb design was, however, only a test device. Further refinement would be necessary to develop and field a weapon suitable for operational use. On 1 March 1954, the largest nuclear detonation ever initiated by the United States took place on an artificial island in Bikini Atoll. The CASTLE BRAVO test resulted in a 15 megaton blast, fully 175% larger than predicted yield due to the presence of lithium-7 in the fuel. Work on weaponizing the "Shrimp" bomb design used in the BRAVO device began less than one month after the test. CASTLE BRAVO was clearly a powerful weapon, but the unseen component, radioactive fallout, was just as deadly and even more invasive than the blast itself. Fallout from the BRAVO blast traveled hundreds of miles downrange, and many portions of the test area were blanketed with enough radiation to easily kill a human being. The following image is a graphic representation of the radiation spread across the test range, measured 96 hours after the blast. It should be noted that a cumulative dose of 700 rads over 96 hours can be fatal to human beings, with an instantaneous dose of 1000-2000 rads in one exposure also being fatal. CASTLE BRAVO was perhaps the ultimate demonstration of the power and destructive, killing force of a nuclear detonation. 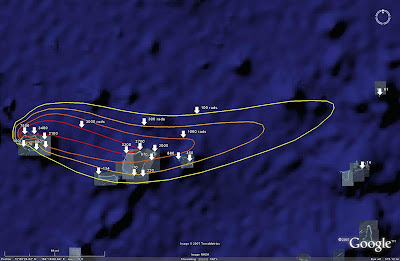 Not only did a good percentage of the test area end up being vaporized, but the resultant radiation spread around the test range resulted in an exclusion zone being enacted around the site, effectively marking 1 percent of the Earth's surface as unfit for human occupation until radiation levels drop substantially. That being said, nuclear weapons do not need to be employed to result in the potential deaths of thousands, perhaps even hundreds of thousands, of people. 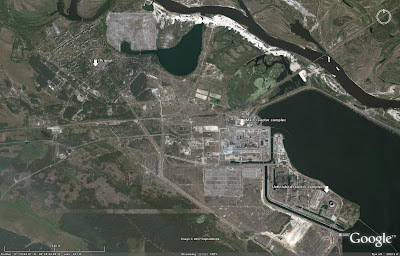 The Mayak nuclear weapons research and production facility situated 150 kilometers northwest of Chelyabinsk in Russia is home to one of the most potentially dangerous pieces of real estate in the world. Mayak was established after the Second World War to produce plutonium for use in nuclear weapons. 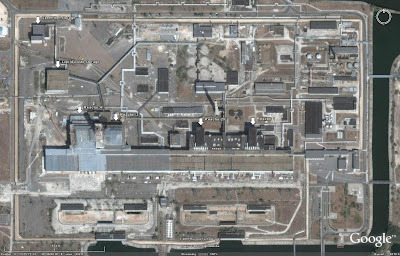 There have been various incidents related to the radioactive nature of the facility. The most significant occurred in 1957 when a cooling unit for a nuclear waste storage unit failed, resulting in an explosion that spread radiation over hundreds of square miles. At least 200 people died as a result of their exposure, with as many as half a million others being exposed to some degree. 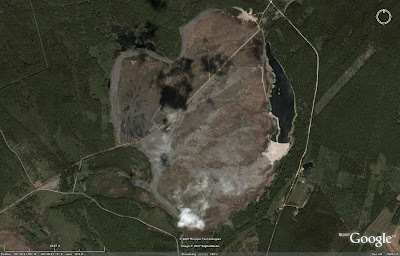 After dumping radioactive waste from the production facilities into the Techa River during the early years of operation, the Mayak complex began to use the nearby Lake Karachay as a dumping site. 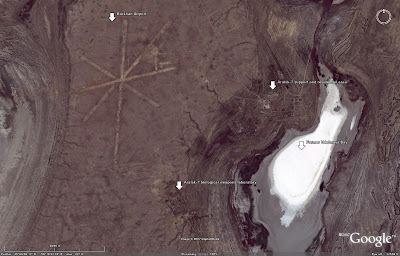 This appeared to be a better idea on the surface, as the lake was enclosed and did not connect to the Techa River and eventually the waters off of Siberia. Unfortunately, by 1967 the lake had dried up, leaving behind a large amount of radioactive sediment. In 1967 a large amount of this radioactive material was spread throughout the province by a large wind storm, once again affecting nearly 500,000 people. The worst disaster, however, may be yet to occur. Covering the dry lakebed with concrete has prevented an airborne radiological threat from emerging from the dry lake since 1967, but a very serious problem still remains. The radioactive material has been leaking into the groundwater below the lake. While the lake was self-contained, the groundwater source could potentially transport radioactive material from Lake Karachay into the Arctic. Were that to happen, half of the globe could be affected, as the sheer amount of radioactive material still present buried underneath the concrete is staggering. Lake Karachay has been referred to as the most radioactive spot on the planet for a very good reason. In 1986 the world's worst nuclear accident took place near a town in the Ukraine called Pripyat. A accident in a nuclear reactor at the Chernobyl nuclear power plant resulted in an explosion and the release of large quantities of radiation into the atmosphere. The Chernobyl nuclear power plant consisted of four 1 Gigawatt nuclear reactors. The first reactor was comissioned in 1977. At the time of the accident in 1986, two other reactors were under construction, as seen in the image above. After the accident, the three remaining operational reactors were gradually taken off-line, with the last reactor powering down in December of 2000. On April 26, 1986, Reactor #4 suffered a catastrophic failure during a test program, resulting in a violent explosion. 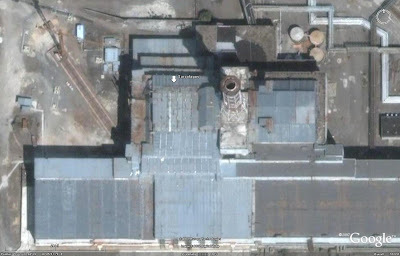 Without going into exhaustive detail, the explosion blew a hole in the roof of the reactor, leaving the core exposed, and spread radioactive debris throughout the surrounding area. Portions of Europe and the rest of the world were also affected by the radioactive debris cloud, albeit on a much reduced scale. An area of 150,000 square kilometers was irradiated in the Ukraine, Belarus, and Russia, and a 30 kilometer exclusion zone was established around the site. 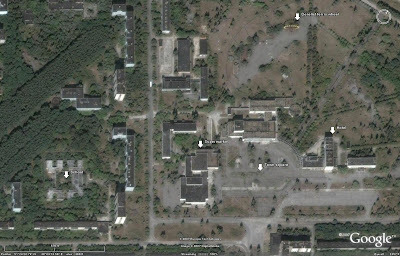 The nearby town of Pripyat was constructed to house the workers of Chernobyl as well as their families. Pripyat's inhabitants were ordered to evacuate on 27 April, and would never return, leaving behind an eerie ghost town as a reminder of the events that occurred the previous day. The main problem with Chernobyl today is the state of the sarcophagus containing the radioactive material in Reactor 4. The sarcophagus was intended as a temporary solution, designed to last for no more than 20 years. It was built in 1986, 21 years ago, and is rapidly deteriorating. A collapse of the sarcophagus would result in the further dissemination of radioactive material throughout the area. While radiation levels in the surrounding area have dropped considerably in the years following the accident, the material contained inside the core is still extremely dangerous and must be dealt with accordingly. As we can see, nuclear testing grounds and accident sites can still pose serious health risks years after events have occurred. They may not, however, represent the most serious threat, nor represent the most potentially dangerous piece of real estate on the entire globe. 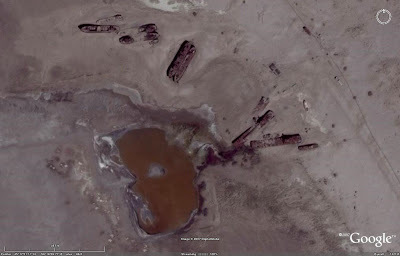 In 1936, the Soviet Union began to test biological weapons on Vozrozhdeniye Island in the Aral Sea. Various types of biological agents were tested on the island, including anthrax and smallpox. While the research facilities were closed down in 1991, Vozrozhdeniye Island remains a potential source of biological warfare material. In 1992 it was revealed that weaponized anthrax had been buried on the island. Beginning in 1988, various biological warfare agents were buried on the island as they were present in quantities too large to destroy in an autoclave. It was later discovered that the containment and decontamination efforts were not as effective as it had been hoped, as weaponzied anthrax spores had been found surviving in the soil of the island. The main problem facing Vozrozhdeniye Island today is that it is literally growing in size. In an effort to divert water to agricultural projects in the area, a number of rivers feeding the Aral Sea were dammed over the years, resulting in a gradual decline in the water level of what was once the world's fourth-largest body of inland water. 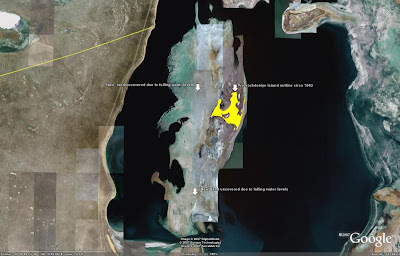 As the water level in the Aral Sea drops, Vozrozhdeniye Island will eventually join with the surrounding land, removing the main source of security that had led to the islands choice as a biowarfare testing facility in the first place: isolation. The effects of the falling water levels can already be seen; apart from the obvious effect of increasing the landmass associated with Vozrozhdeniye Island, various ships have been seen trapped on land along the northern edge of the new landmass. The ultimate threat from Vozrozhdeniye Island lies in what is buried under the sands. As the island becomes more accessible, the chances of something sinister being unearthed and released into the population increase exponentially. It is known that weaponized anthrax was buried on the island. One can only speculate in silent horror at what else may have been buried there, and given the weaponzied nature of the testing, what else may still survive and lie in wait to descend on an unsuspecting population. The ultimate doomsday scenario could play out in a simple and innocent fashion: reintroduction of burrowing animals after the island rejoins the mainland could result in the spread of biological warfare organisms with no warning whatsoever. It should be noted that this article is not intended as an indictemnt of nuclear power or nuclear weaponry. Nuclear power, when used in a safe and controlled manner, is a very valuable power source. Nuclear weaponry does have a very significant role in both defensive and offensive military actions, although world leaders refuse to acknowledge the latter. Rather, this was intended to illustrate the effects of a lack of knowledge or attention to detail. Had the Chernobyl reactor been of a more sound design, the explosion would have had far less of an effect on the surrounding area. Had scientists at Bikini been aware of the effects of the materials inside their weapon, the CASTLE BRAVO detonation would have been far more controlled and not resulted in a massive radiation spread. If we are going to possess or experiment with such technologies, we must be aware of the consequences, and be prepared to deal with them in a far more effective manner. 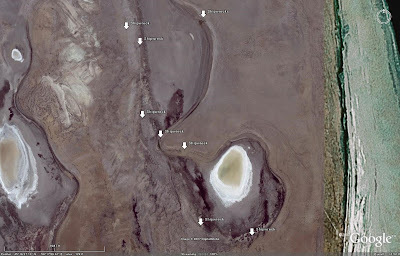 -All overhead imagery provided courtesy of Google Earth.